Oracle Real-Time Integration Business Insight: Designing Insight Models This video describes the designing of business models in Oracle Real-Time Integration Business Insight. 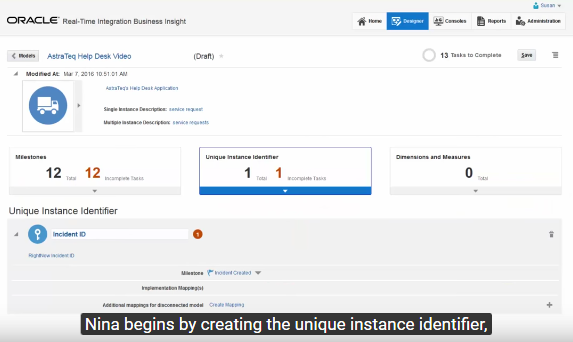 Oracle Real-Time Integration Business Insight: Working with Reports This short video will be part of the Introducing Oracle Real-Time Integration Business Insight (aka Insight) video series. This video demonstrates what business insights you can gain from the pre-configured reports.